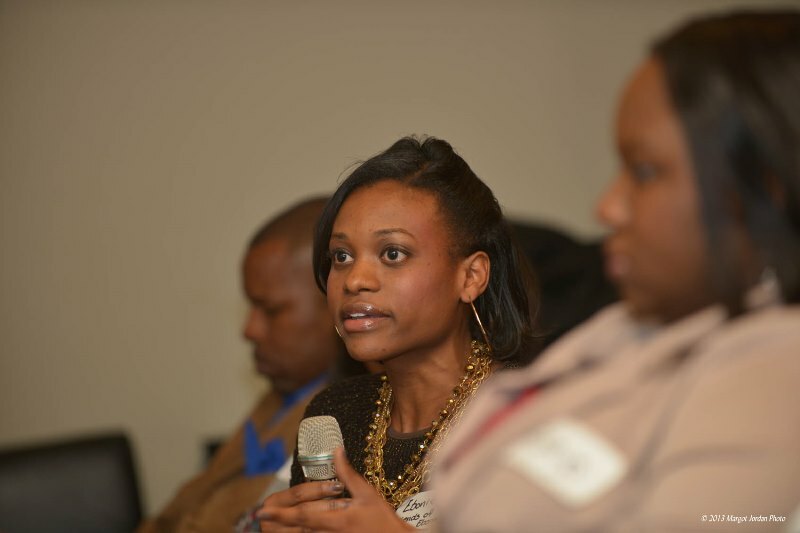 On February 28, 2013, BlackGivesBack hosted its first event presented by JPMorgan Chase and its Black Organization for Leadership Development (BOLD) group in New York City. Held during Black History Month, the featured speaker was Christina Lewis Halpern, author, journalist and heiress of the late African American billionaire and philanthropist Reginald F. Lewis, who was interviewed by Valaida Fullwood, author of the award-winning book, Giving Back: A Tribute to Generations of African American Philanthropists. "The conversation between she and Valaida was also about her cultivation as a philanthropist at a very young age. “I’ve been a board member of my family’s foundation since I was 12 years old—well not officially until I was 18—but I learned early the importance of family giving. I’ve also reviewed lots of grants in my life,” she told the audience with a laugh. Listening first hand to an heiress—a black heiress—I believe was both exciting and awe-inspiring for most of us. It’s not very often we see a young person of color speak with such detail and passion about giving at such a high capacity." I would have loved to have been able to attend this event. I agree with her that it's rare to see youth and young adults of color with a sincere passion for giving back or doing community service. I think that's something that we as the Black community needs to work more on changing. I'm thankful for your blog because it's definitely starting the movement and showcasing that we do give back and some of us are actively involved in our communities. We will host more events in the future that will be open to the public. Thanks for your kind words!